As some of you must be knowing that I have delivered a baby girl recently through c-sec only 1 month back. I am still in recovery phase. Lesser pains, lesser bloating and a much less weighing me. But with a little one and a 4 yr old, life becomes a bit hectic. I am staying at my mum’s place to get all help I can get at this stage but even then, you have to manage somethings for your little ones, no!! Everyone at home is busy these days with my and little angels work. Shopping and market trips are no more a priority for anybody. But then, what about my elder one!! He is going to school regularly, he has lunch breaks, fruit breaks and he daily needs varieties and I have to see to them too. I have found a rescuer – PepperTap App, An Online Grocery App. 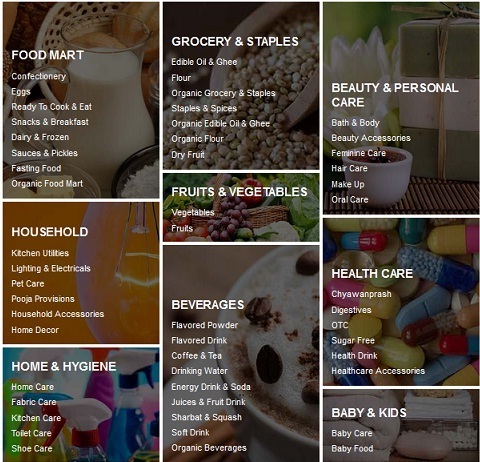 Isn’t the idea of getting groceries and daily necessity items online simply wonderful!! How to do it? Simple again. Either log on to the web app through your laptop or PC or still better you download the app on phone, give your locations and get started. They have loads of options available. You can order all sort of groceries online. They have great variety of vegetables, fruits, all groceries like oils, pulses, flour, pickles, snacks etc. Also, for my lovely beauties, they have some range of beauty and personal care items too and also baby care products. On top of that, they have expanded base to have kitchen utilities, all sort of beverages, health care products, pet products and hygiene items. Could anything be better? Your flour is finished, cold drink finished or you don’t have any stock of fruit or vegetable for evening, just order it through PepperTap and sit and relax. No need of running to stores and picking all those bulky items. Now you know why I said that I can manage my 4 yr old’s such needs on my own? I just have to order his favourite fruit and vegetable online now. No more hopping when I can’t :). Do try the app friends. Its new, its for our comfort. It’s a nice concept and with our work schedules, it will surely grow and benefit us :). Charu… I am looking forward to having this in Nova Scotia one day soon. . . It would be very helpful. Great post sweetheart…thx for sharing! Congrats Charu. Happiness to hear that all is well with you and the little one. Take care. Rest and relax and we will keep in touch. Yes to on-line groceries. I mean is so hectic driving and parking. So convenient it is to order on-line. What a convenient way to shop in the comfort of your home congrats on your new blessing. Glad that you are feeling better…even i like the idea of online grocery but all things at one place is really good option.. i would check it out.